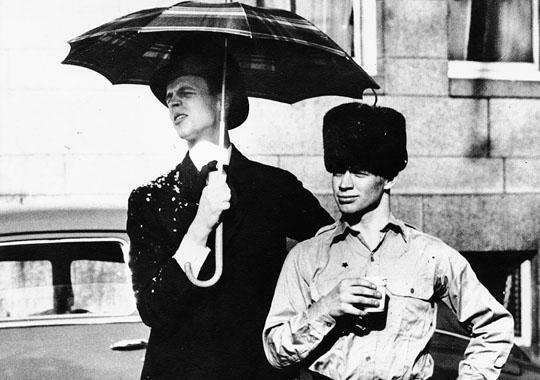 You may already know about some of the often flamboyant high jinks perpetrated by so-called "participatory journalist" George Plimpton — how he played quarterback for the Detroit Lions, flew high on the trapeze in a pale pink leotard for the circus, got bloodied in a professional boxing ring, and took the stage with maestro Leonard Bernstein and the New York Philharmonic. 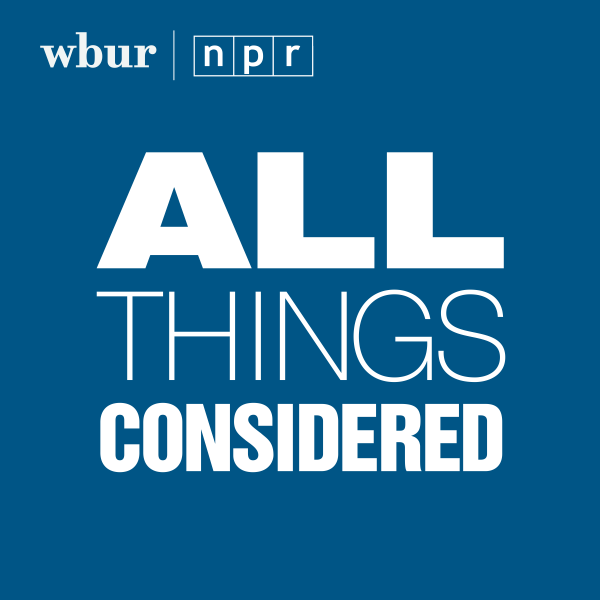 But you may not realize how connected this New York-based, internationally known editor of the Paris Review was to Boston. Well, now's your chance to learn almost everything you ever wanted to know about Plimpton. He's the subject of a new documentary by two local filmmakers. "Plimpton! 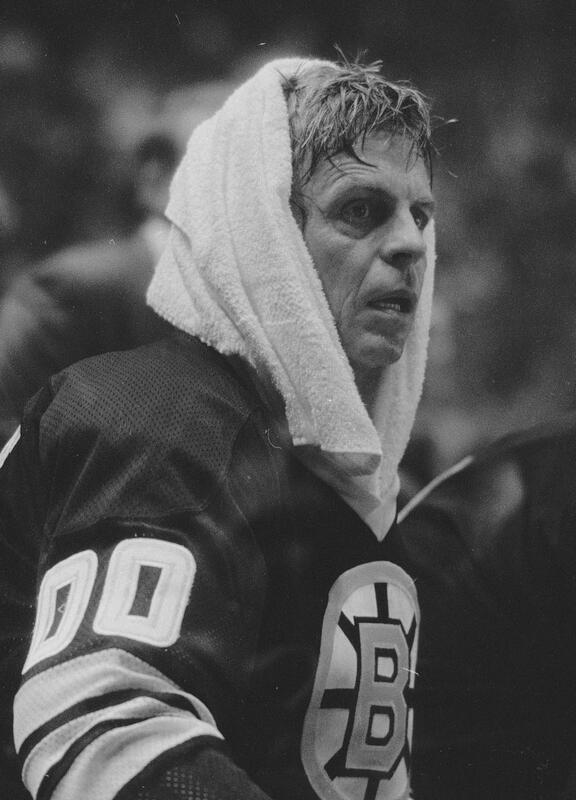 Starring George Plimpton as Himself," is screening at the Coolidge Corner Cinema Friday night. 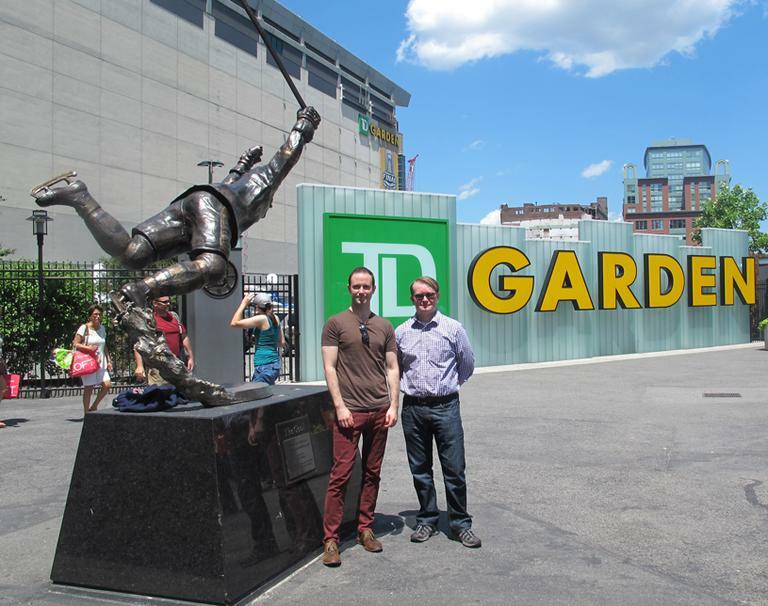 To find out more, I met up with filmmakers Luke Poling and Tom Bean outside the TD Garden. "This is the home of two of the teams that George played for," Poling explained. "He would be the answer to the Jeopardy question of: Who’s the only person to have played with the Bruins and the Celtics?" The pair was shocked that somebody hadn’t. So the motivated, first-time documentarians set out to make the first film about the writer. Their first step was to call Plimpton’s second wife, Sarah. "Little did we know what we were signing up for," Poling admitted. "They called up, it was sort of out of the blue," Sarah Plimpton recalled. "First I thought, ‘Oh God, it’s going to be a lot of work!’ Then I thought, 'Who are these people?'" Sarah tried Googling the filmmakers, "and of course they have no history at all," she said. "So, you know, I was a little bit reserved about it, but they were so enthusiastic that I remembered how George would’ve given kids like this a chance." Plimpton gave hundreds of writers a chance during his 40 years editing the famed Paris Review. So Sarah made a deal with the untested co-directors: she would give them access to her vast archive if they organized it. The trove was filled with "audio tapes, video tapes, 8mm film reels — every type of format you could think of both currently in use and long extinct — that we had to go through to find the footage for the film," Poling said. Ultimately, the pair built shelves to house the archive in Sarah's New York apartment. They drove car loads of material to Poling’s Chestnut Hill home and Bean, who grew up in Marblehead and is a Boston University graduate but was living in L.A. at the time -- moved into the basement. The two of them started digging through boxes containing countless artifacts from Plimpton’s life. There were letters from his aristocratic parents admonishing the wayward student to do better at Phillips Exeter in New Hampshire. And material from Plimpton’s time at Harvard — where he became close friends with Robert Kennedy. In 1968 he was at the Ambassador Hotel when the Robert F. Kennedy was assassinated. "He was right behind him, in fact," Bean explained. "And he dove on the assassin Sirhan Sirhan and helped disarm him." Plimpton never talked about the national tragedy, but the film includes stirring photographs and audio from the writer's phone deposition to the Los Angeles police. In the documentary, you hear Plimpton's signature, patrician voice answering the officers request for a description of RFK. "Curious, being a writer, one would think I’d know these things, yet God dammit I can’t tell you." Plimpton said. "I think his shirt was yellow-brown, but if you tell me it wasn’t I wouldn’t be the slightest bit surprised. I can tell you all about his eyes, they were dark brown, enormously peaceful eyes." Being serious was not Plimpton’s style. 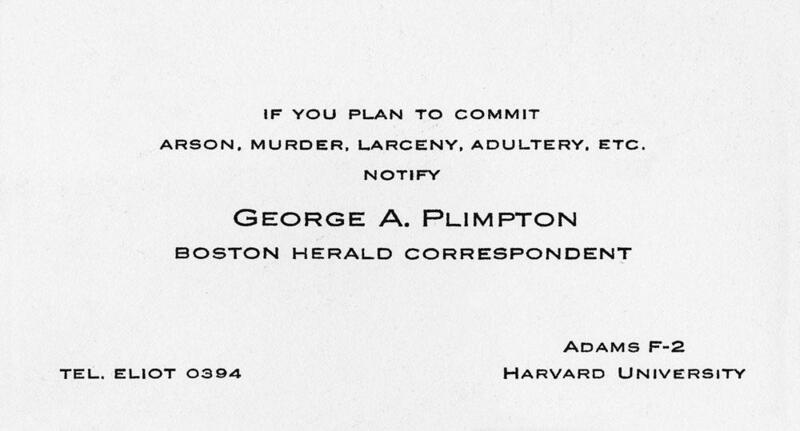 In fact, Sarah Plimpton said one of her husband's dominating influences was the Harvard Lampoon. "He had an enormous sense of humor and he first found his voice at the Lampoon," she recalled. "I mean, I think we was practically kicked out of Exeter for his practical jokes, but when he got to the Lampoon he’d really found his element." After graduating in 1948, Sarah said Plimpton always found excuses to go back. "But what he loved to do most was to go and hang out in the Lampoon building and tell stories. I think that was his favorite place in Boston," she said, remembering when her husband's affection for the magazine became crystal clear in her own mind. "When I first went to Boston with him after we married he said, ‘Well, I’m taking you to the Lampoon building.'" The building is an odd-looking Flemish-style castle in Harvard Square, and home to the world's longest-running humor publication. Filmmaker Tom Bean said Plimpton's exploits at the Lampoon help explain why the gangling writer would ultimately get in the ring with a heavyweight fighter — only to end up with a bloody nose. "Comedians set themselves up to get punched in the face," Bean said. "And so the goal was to illuminate these closed worlds of performative genius — whether it was Leonard Bernstein’s New York Philharmonic or the Detroit Lions. But in order to compellingly relay that to an audience, George brilliantly set himself up always to fail." Still, Plimpton's time at the Lampoon is largely left out of Bean and Poling's documentary. "We joked when we were making the film that it could’ve easily been a 15-hour movie because there’s so much stuff that you have to cut out," Poling explained. "And with George — his time at Harvard, his time certainly at the Lampoon, his time in WWII driving tanks into buildings — all stuff that would be excellent additions to the film. But you have to stop for dinner at some point." But Plimpton's shenanigans at the Lampoon are still the stuff of legend to the aspiring comedians and writers who are there today. They told us they don’t take the cut personally, and invited us on a tour of the building that houses the notoriously secretive humor society and magazine that helped spawn the likes of Conan O'Brien and John Updike. (No pictures of the building's elaborate interior were allowed). Plimpton was Lampoon president in 1948, and current senior Tyler Richard said the writer continues to inspire contemporary 'Poonsters. "As you can see, even the name George Plimpton is engraved into the windows, so that’s sort of the relationship he has here — light shines through, you see him," Richard said as we walked past a large stain-glassed window. And Plimpton's books are on the library's shelves. 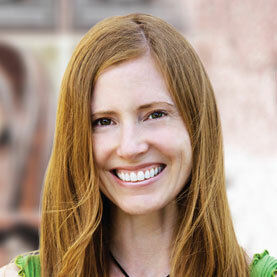 "One of the common maxims for writers is write from experience," Ellie Parker explained. "Plimpton is so great because he was so committed to experiencing an incredibly wide range of professions and activities — and just sort of goof ball pursuits. And I think at the Lampoon, we still exist very much in that spirit." Sarah Plimpton said she understands completely why the filmmakers had to gloss over her husband's Lampoon era. "I don’t think anybody can capture all sides of George Plimpton — he was a very complex man," she said. But she has an idea of how her unabashed storyteller might feel about the documentary. "I think he would be totally embarrassed," she surmised. "The idea that somebody spent — what is it, 89 minutes? — calling attention to him would just mortify him." More seriously, Sarah thinks George would appreciate Poling and Bean’s portrait, and the fact that they got to see the inside of his favorite building in Cambridge. “Plimpton! Starring George Plimpton as Himself,” screens Friday night at the Coolidge Corner Theater in Brookline. This program aired on June 21, 2013. The audio for this program is not available.